Great planning, attention to details and masterful execution create a great community. From one-of-a-kind resort style recreational facilities to the entry, street design and protective architectural covenants and restrictions, a Huffines Signature Community provides a new home that grows in value and provides a quality of life like none other. Each community reflects the Huffines’ dedication to providing a lifestyle that embraces family traditions their home and creates lasting memories. Several major companies (Toyota Motor Company, State Farm Insurance, Liberty Mutual Insurance, FedEx and Nebraska Furniture) are flocking to the North Texas area due to the prime real estate, excellent climate and thriving economy leaving hundreds of employees looking to purchase Providence Village Homes for Sale & Real Estate. All the great facilities here at Providence are available for our residents to rent. You can reserve the Gathering Room in the Main Clubhouse for a baby shower, the Cape Cod Community Center for a graduation party or the Pool Pavilion for a family reunion. The facilities here are beautiful and the fees are affordable, so why have your special event anywhere else? Providence Village was developed as a master-planned community in 2000, it includes approximately 1,700 homes and 5,750 people. 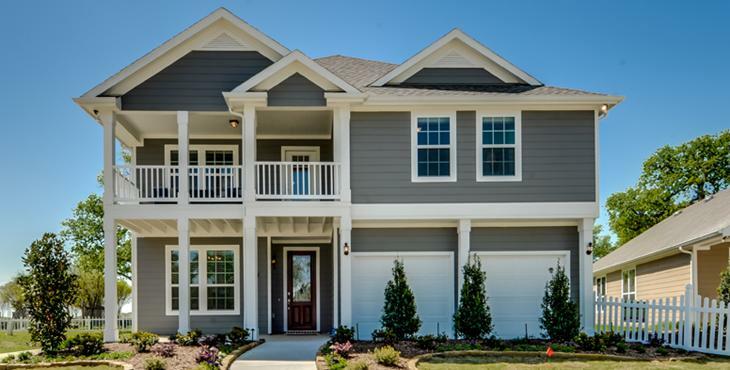 The community has several custom single family home floor plans to choose from. Providence Village Homes for Sale & Real Estate ranges from 200K to 700K. Lot sizes are typically .10 to .25 acre with most homes built in the late early 2000’s. Many of homes are situated on streets that are both private and conveniently located to schools, shopping, highways and any convenience you desire. Children attend the Aubrey Independent School District, with exemplary Monaco and Aubrey as your schools. Information about Providence Village Homes for Sale and Providence Village Real Estate can be found calling or stopping by our office located just South of Providence Village in the master-planned community of Castle Hills. Stop by or call Renee Mears Realtors for a list of currently available homes in Providence Village. When looking to buy a home in Providence Village or sell a home in Providence Village it is always best to use an experienced Providence Village Realtor. If you are interested in Providence Village Homes for Sale & Real Estate call Renee Mears at 972-489-0828. WOW!!! Tree Lined Lot in Providence! You will be Impressed with the Love that has gone into this home...Hardwood Floors throughout downstairs, Study with French Doors, Ceramic Tile in Wet Areas, Granite in Kitchen, Abundant Cabinetry, Walkin Pantry, Loft Style Gameroom Upstairs, HUGE Master Suite Upstairs, His-Her Walkin Closets, Balcony. Open Concept Floorplan. Next door to Park. What A Gem! Magnificant DR Horton located in Eagle Village at Providence in Aubrey. The most improved home in the sub-division. Upgrades include GE Profile SS Appliances, hand scraped nailed down solid oak hardwood floors in every room including closets, heavy 5 inch baseboards, Rod Iron front door, custom storn doors front and rear, Custom Chandaliers, custom lighting thru out, Granite coutnertops and custom backsplash in Kitchen, upgraded mirrors and lighting in all bathrooms, mature landscaping with a peach and pear tree, raised bed garden in backyard, radient barrier, attic storage in two areas, childrens play park right across the street, 3 covered porches. Don't miss this one! This Cape Cod charmer welcomes you right away with its pretty landscaping, inviting front porch & bright red front door! Step inside to a wonderful open concept 3 Bedroom, 2 Bath home with tile & wood floors! The Kitchen is the heart of this home and is open to the light-filled Family Room & Breakfast Area with window seat-dining bench! The Kitchen also offers Stainless Steel appliances & a nice pantry! Back patio looks out over the right-sized fenced backyard! Enjoy Providence amenities like Community Clubhouse, fitness center, swimming pool, water park, jogging trails, playground, tennis & more! Denton ISD schools! You'll love making this home! Built in 2013, this Providence Village two-story home offers a front porch, stainless steel appliances, granite kitchen countertops, master bathroom with separate tub and shower, covered deck, and two-car garage. Upgraded features include new HVAC and carpeting. Home comes with a 30-day buyback guarantee. Terms and conditions apply. Attention all buyers looking for a home with a Northeast vibe! Located on a creek lot, this beautiful home backs up to a lush greenbelt with access from the backyard. Fabulous 3 bed, 2.1 bath, single owner home in master planned Providence community! Two story home with coveted Front-entry garage! Spacious open-concept living:dining area! Fully upgraded kitchen perfect for entertaining. All 3 beds & utility upstairs for convenience; w:large, open, loft area perfect for game room or 2nd living. Generously sized bedrooms w:walk-in closets. Master is a MUST SEE! Tons of space, w:sitting area, separate garden tub, walk-in shower & AMAZING master closet!!! What's my Providence Village home worth?